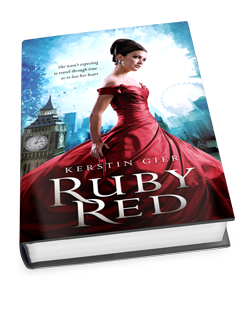 Ruby Red was pure and simple fun. The romance was smoldery and slow building without being boring. I really enjoyed the complexity and multifaceted plot. There is definitely a bigger game afoot, and I like that Gier doesn’t play her whole hand right up front. This is a sort of “dig in and savor” paced series which is a nice change from the typical books I read. I also like the time travel elements in this world. It’s not always done well and there are often too many paradoxes, so when it’s done well, I appreciate it. Overall, this was a wonderfully entertaining read and I look forward to learning more about this world.